Creative Monsoon: Happy Australia Day! 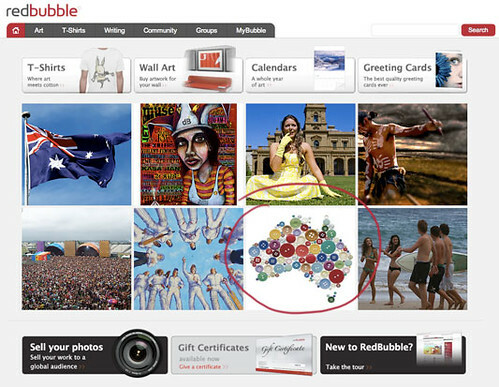 What a nice surprise this Australia Day, my Aussie button t shirt has been featured on the redbubble home page! Thanks for the lovely comments and happy Australia Day everyone!